Javier Corral Clayton posed with his father, Javier Corral, and sisters Ana (left) and Daniela when his family arrived from Mexico to visit him at ASU last fall. 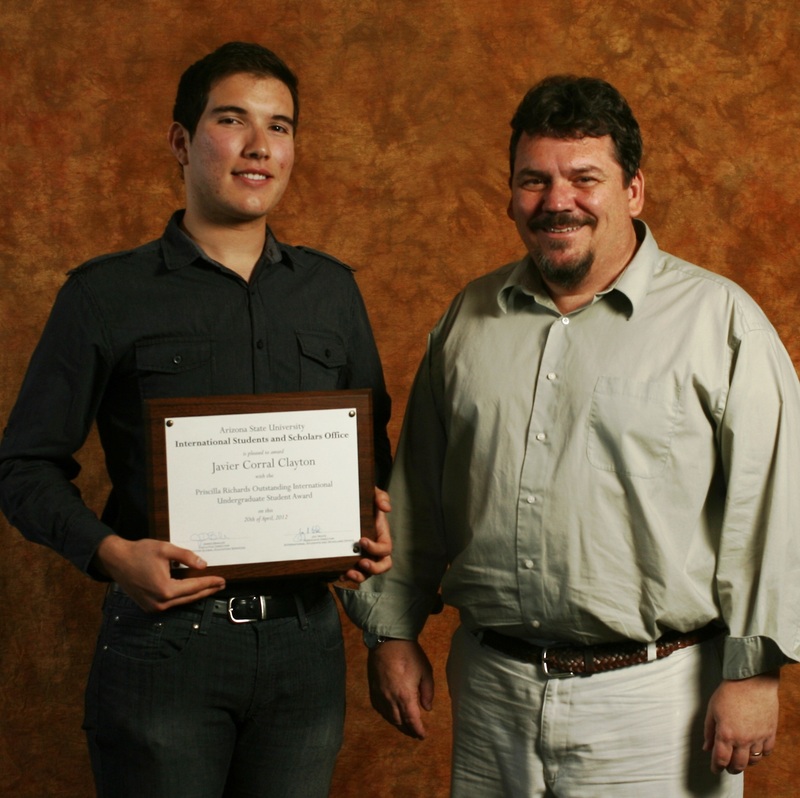 Chemical engineering major Javier Corral Clayton was recently named Arizona State University’s 2012 Outstanding International Undergraduate Student Award winner. The award is given by ASU’s International Students and Scholars Office. It recognizes students’ academic performance, leadership and community service efforts. 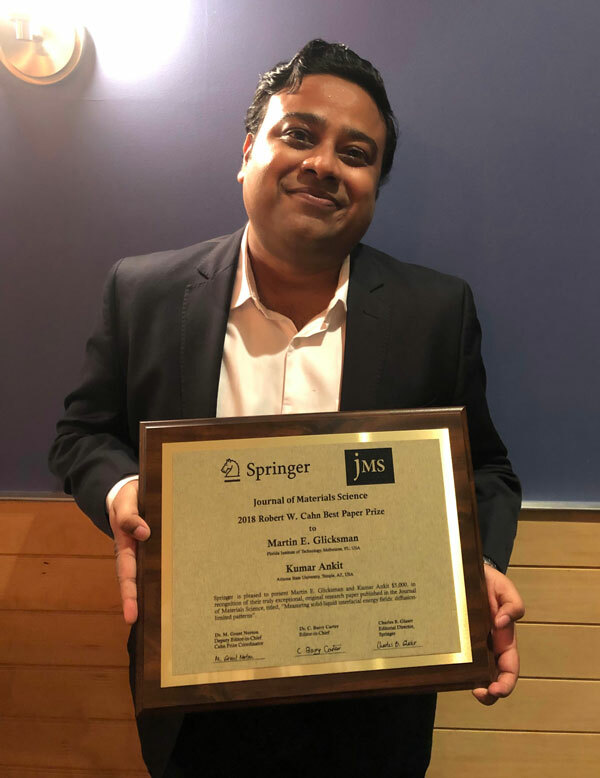 The center gives the Priscilla Richards International Students Awards annually to one international undergraduate and one graduate student, as well as recognizing another international student specifically for leadership achievement. Corral Clayton, a native of the city of Hermosillo in the state of Sonora, Mexico, just finished his freshman year at ASU. He is a student in Barrett, the Honors College, studying in the School for Engineering of Matter, Transport and Energy, one of ASU’s Ira A. Fulton Schools of Engineering. He also plans to pursue minors in sustainability and business. Corral Clayton is finishing off his first year studying in the United States with research and travel experiences. Chemical engineering major Javier Corral Clayton, the 2012 ASU international undergraduate student award winner, poses with Joseph Foy, a lecturer at ASU’s Barrett, the Honors College, who wrote the award nomination letter for Corral Clayton. He is participating in the Barrett Great American Cities Program, which takes honors students on trips to see cultural and historical attractions in the United States. He is joining fellow students on a tour of Chicago. Corral Clayton will also spend a month this summer assisting researchers at Quantum Energy and Sustainable Solar Technologies (QESST), a National Science Foundation and Department of Energy Engineering Research Center based at ASU. Last fall semester, Corral Clayton served a research assistantship in the lab of professor James Elser in ASU’s School of Life Sciences. During the school year his was an intern with the Associated Students of Arizona State University advocacy group and an officer of the Coalition of International Students. He will become vice president of the coalition at the start of the fall semester. 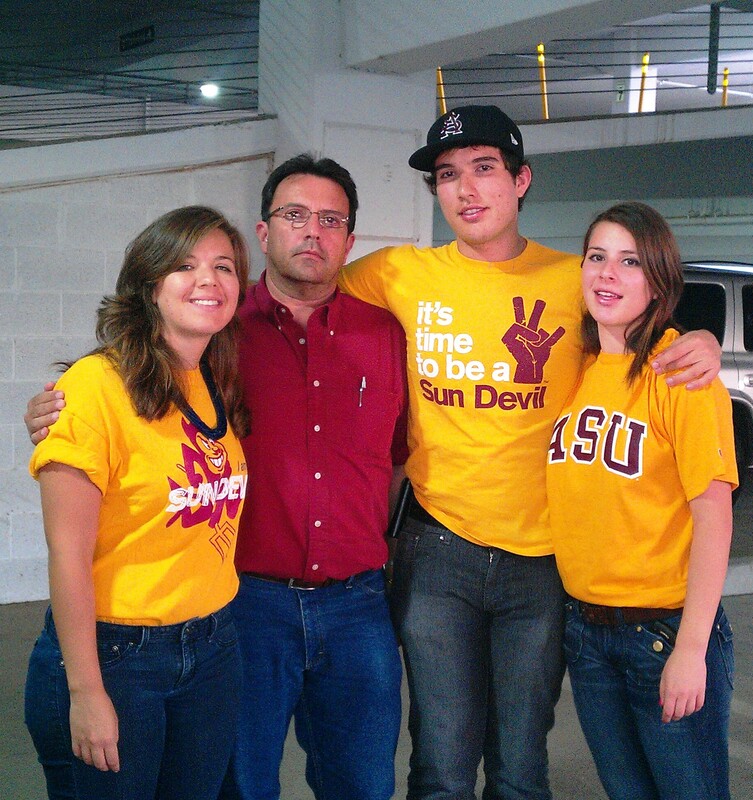 He also served as a Devil2Devil Student Ambassador, assisting efforts to connect with prospective ASU students. In one of his classes, he was a team leader for a project in the Engineering Projects in Community Service (EPICS) program to help redesign the website of Project C.U.R.E., the world’s largest organization providing donated medical equipment and supplies to people in more than 120 developing countries. Corral Clayton is the second engineering student to win an ASU international student award in the past two years. The graduate student award last year went to Michele Mancenido, a native of the Philippines studying for her doctoral degree in industrial engineering.